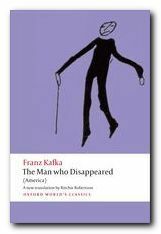 The Man who Disappeared (1913) (also known as Amerika) was Kafka’s first attempt at a novel, and like most of his others, with the exception of The Trial, it was left unfinished. He began writing it (for the second time) in 1912, then broke off to compose Metamorphosis and apart from producing a couple of subsequent fragments he never returned to it. 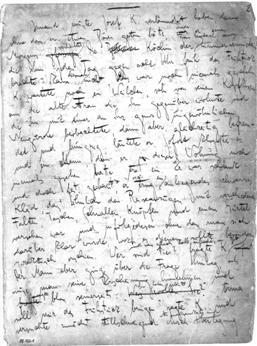 Only the much anthologised first chapter, The Stoker was published in Kafka’s lifetime, in a collection of modernist texts edited by Kurt Wolf in 1913. Readers expecting the usual Kafkaesque elements of existential terror and bureaucratic nightmares will be surprised and maybe delighted to discover that the story is a light-hearted and at times quite amusing fantasy of a young German boy at large in the USA. 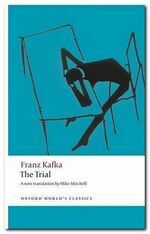 Needless to say, Kafka had never been anywhere near America, and his account of it is entirely constructed from clichés of the New World – skyscrapers, non-stop traffic, and at times some Keystone Cops chase scenes. The novel is an ironic reversal of the rags to riches story that is normally attached to immigration from the Old World to the New. Karl Rossman manages to go from riches to rags. He starts off with a wealthy and powerful uncle who showers him with luxury, but by the end of the narrative he has nothing, he is searching for work, and he is mixing with criminals and a prostitute. It is worth noting that Karl is not exactly an innocent abroad. He has been expelled from his family home following a sexual dalliance with an older servant woman that resulted in her bearing a child. So although he is only seventeen (or even fifteen) years old, Karl is in fact himself a father. The authority figures in each chapter appear in pairs. When Karl becomes involved in the defence of the stoker and his claims of ill-treatment, it is to the ship’s Captain and the ship’s Purser that he is answerable and who challenge his actions and question his motivation. His uncle Edward’s business associates are Mr Pollunder and Mr Green, both of whom have power over Karl. It is the invitation from Pollunder which displeases Karl’s uncle, and Mr Green who carries the letter which contains the orders of dismissal that expel Karl from his newfound paradise in New York. He immediately falls into the hands of Robinson and Delamarche, who take advantage of his naivete and bully him into becoming virtually their servant. Interesting to note also that these authority figures are usually slightly different – of what we might now call the ‘good cop, bad cop’ kind. One of them will pretend to befriend Karl, the other will resort to naked threats. Karl tries to resist them both, but fails. The women in the story are either all-embracing mother figures, sexual predators, or vulnerable waifs. Grete Mitzelbach offers Karl somewhere to sleep when he is in need; she secures him a job; and she offers her support when he is being threatened with dismissal at the hotel. In fact she also recommends him to another employer. On the other hand Johanna Brummer, the thirty-five year old servant woman who seduces the fifteen (or seventeen) year old Karl does so in a comically grotesque manner – but one which Karl finds ‘disgusting’. Klara, Mr Pullender’s daughter, appears to be a a more sympathetic figure, but she ends up attacking Karl physically, then invites him to her room – but only to reveal her sexual connection with Mr Mack, the millionaire’s son. Her red dress was rucked up at the front and a long stretch of it hung down to the floor, her legs were visible almost to the knees, she was wearing thick white woollen stockings, and had no shoes on.’How hot it is, Delamarche,’ she said, turning her face from the wall and holding her hand negligently in front of Delamarche, who seized and kissed it. Terese and Fanny are waif figures, with Terese offering a particularly poignant version of the emigrant’s story, searching for work with her mother, who is eventually killed in an accident on a building site. 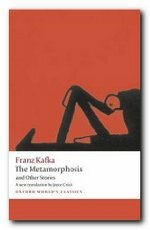 Following the Second World War, images of America were widely manifest in Europe and the rest of the world via radio, newspapers, and cinema – but at the time that Kafka was writing in 1912 it would be literally Another Country to him, an unknown and exotic place (even though it was a place to which many Europeans were emigrating). Given this, and the fact that he had obviously never been there, it is surprising that he captures so much of its essence in images of very tall buildings (skyscrapers), the grid system of straight roads, of people living in tenement blocks, and the non-stop traffic. A memex is a device in which an individual stores all his books, records, and communications … Most of the contents are purchased on microfilm, ready for insertion. Books of all sorts, pictures, current periodicals, newspapers, are thus obtained and dropped into place. If the user wishes to consult a certain book, he taps its code on the keyboard, and the title page of the book promptly appears before him, projected onto one of his viewing positions … Any given book from his library can thus be called up and consulted with far greater facility than if it were taken from a shelf. Karl Rossman arrives in New York, having been sent abroad by his parents following an incident with an older servant that resulted in the birth of a son. Karl goes back into the ship to retrieve his umbrella and meets the ship’s stoker, who complains about his treatment on board. Karl accompanies him to plead his case with the ship’s captain. There he meets his uncle Edward Jakob, who is now a rich businessman and a Senator. Karl lives with his uncle for two months, takes English and riding lessons, and is provided with a piano. He meets a millionaire’s son, Mr Mack, and is invited to the home of banker Mr Pollunder, although his uncle disapproves of the visit. At Mr Pollunder’s country house Karl is oppressed by the behaviour of his business associate Mr Green, and then is subject to a physical attack by Klara, Mr Pollunder’s daughter.. When he decides to return to his uncle’s house, many obstacles are put in his way to delay his return. It is revealed that Mr Mack is Klara’s fiancé. Finally, Mr Green presents Karl with a letter from his uncle disowning him for going against his wishes. Mr Green gives Karl a train ticket to San Francisco (which he never uses). Karl meets two unsavoury characters Robinson and Delamarche who take advantage of him. They set off in search of work, eat at his expense, and steal his belongings. Karl escapes from them, and arrives at the Hotel Occidental, where he is befriended by Grete Mitzelbach the head cook and invited to stay for the night. The cook arranges for Karl to be a lift boy at the hotel. He works twelve hour shifts and sleep in a dormitory filled with smoke, noise, and lift boys boxing and wrestling. Karl befriends Terese, the cook’s secretary, who recounts her difficult life and her mother’s death as poor emigrants. Robinson reappears at the hotel drunk, and vomits into the stair well. Karl offers him money to leave and puts him into his own bed to sober up. But this briefly takes Karl away from his post on the lifts, for which misdemeanour he is interviewed by the head waiter and head porter, then sacked, despite pleas from his friend the head cook. Karl is physically bullied by the head porter, but finally manages to escape from the hotel – only to find Robinson waiting for him again. Karl and Robinson are driven to a tenement building where Delamarche is living. There is an altercation involving the police, from which Karl escapes again, only to be rescued by Delamarche and taken back to a squalid and cramped apartment where he lives with Brunelda, a fat ex-singer. Robinson complains about the skivvy work he does for Delamarche and Brunelda, and reveals that they plan to make Karl their servant. They all watch a political rally and procession from the balcony of the apartment. Karl then makes another attempt to escape, which ends up in a fight. He then has a conversation with a student on an adjacent balcony, who advises him to stay with Delamarche. Robinson and Karl prepare breakfast for Delamarche and Brunelda in the late afternoon, amidst the squalor of the apartment. Karl departs with Brunelda, who is hidden under a blanket on a cart. Karl enrolls in the Theatre of Oklahoma where he meets an old friend Fanny who is playing a trumpet to welcome newcomers. He goes through a complex and bureaucratic recruitment process and is taken on as a technician. At a feast for new recruits he meets his fellow lift boy Giacomo from the Hotel Occidental. They travel by train for two days towards Oklahoma. Max Brod (ed), The Diaries of Franz Kafka, Schocken Books, 1988. Carolin Duttlinger, Kafka and Photography, Oxford: Oxford University Press, 2007.